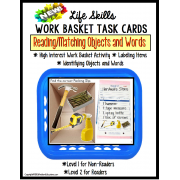 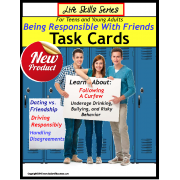 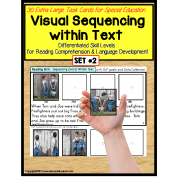 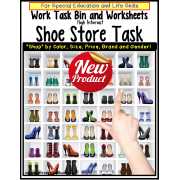 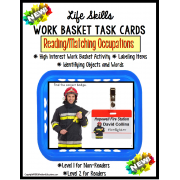 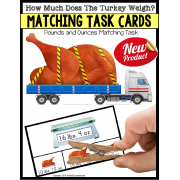 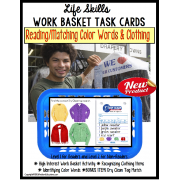 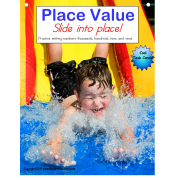 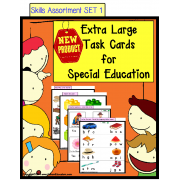 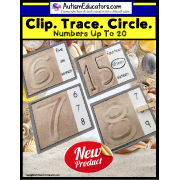 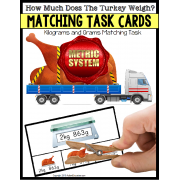 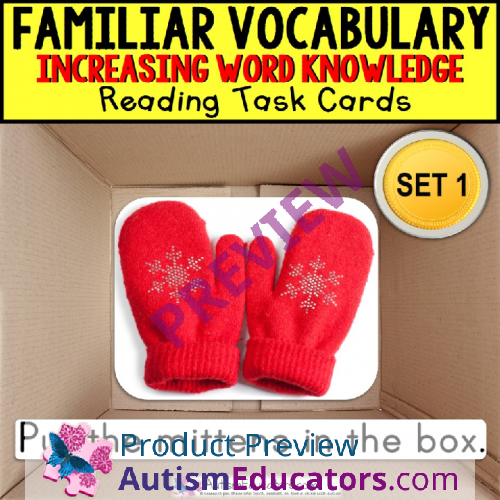 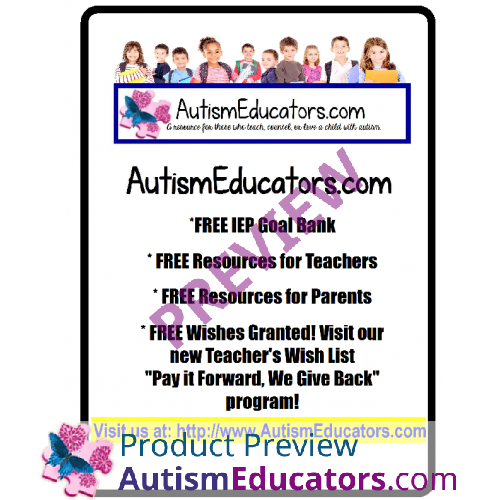 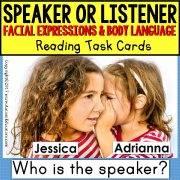 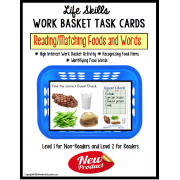 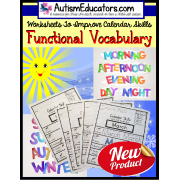 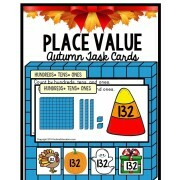 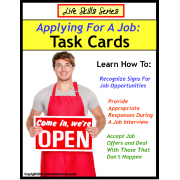 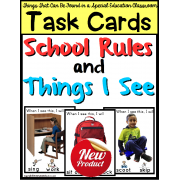 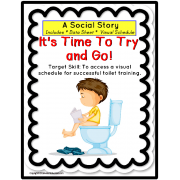 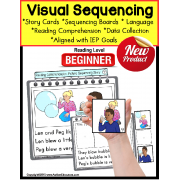 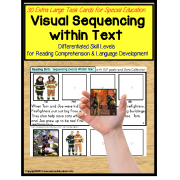 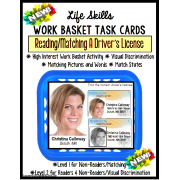 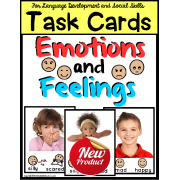 VOCABULARY and PICTURES Task Cards WORD KNOWLEDGE “Task Box Filler” for Special Education SET 1 for Special Education, autism, ELL, and visual learners. 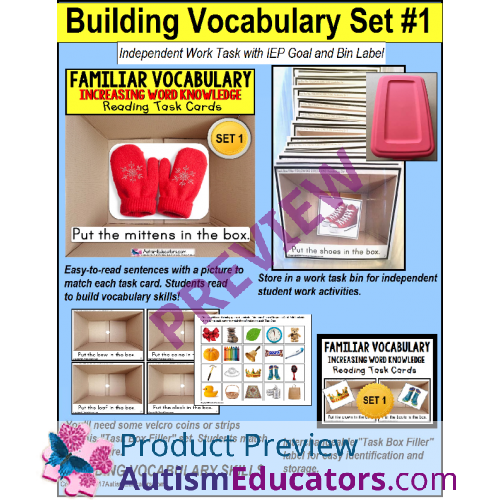 Learning new vocabulary and recalling the name of words already taught, can be challenging for our students with special learning needs. 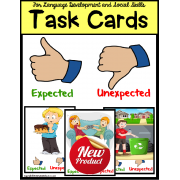 With this “Task Box Filler” Task Card set, children will read each repetitive sentence, with only one noun changing. 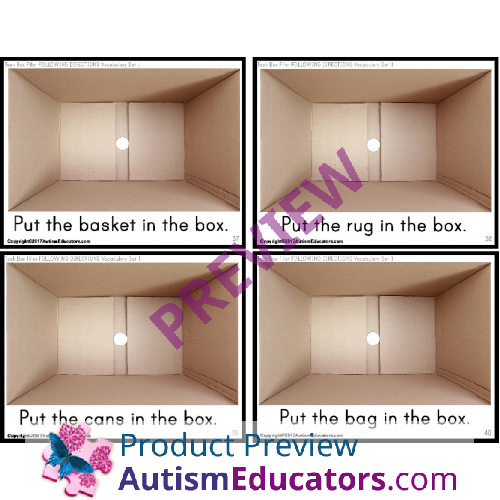 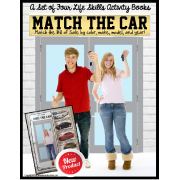 The child will read to match the correct picture and place it in the “box”! 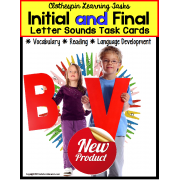 There’s a variety of vocabulary words which children are familiar with to keep interest high in this activity. 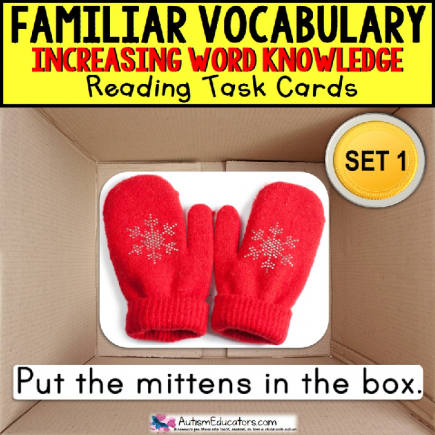 THIS IS SET #1 OF THE VOCABULARY TASK BOX FILLERS. 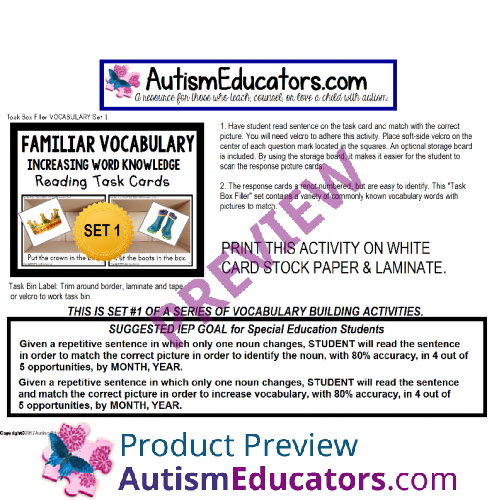 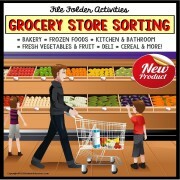 Spelling contained in this activity is suitable for the U.S., Australia, Canada, and the U.K. 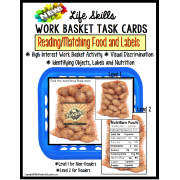 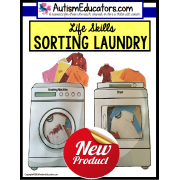 If any changes are required due to spelling in any “Task Box Filler” set, please contact me at DSinger@AutismEducators.com. 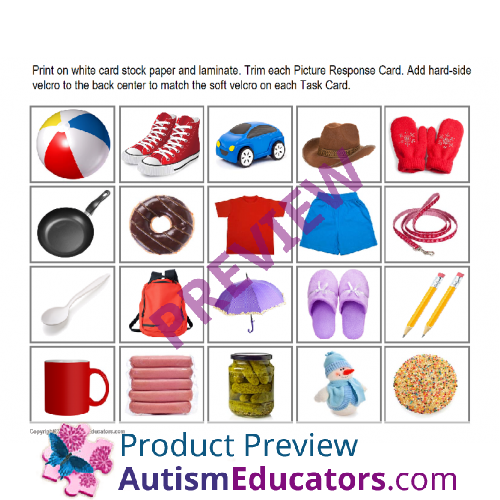 Simple set up, just print, laminate task cards, add velcro and hear your students read vocabulary words and match each picture! 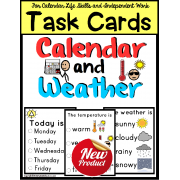 Given a repetitive sentence in which only one noun changes, STUDENT will read the sentence to match the correct picture in order to demonstrate word meaning/identification, with 80% accuracy, in 4 out of 5 opportunities, by MONTH, YEAR. 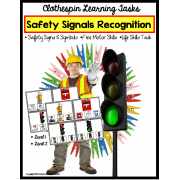 Given a repetitive sentence in which only one noun changes, STUDENT will read the sentence and match the correct picture in order to increase vocabulary skills, with 80% accuracy, in 4 out of 5 opportunities, by MONTH, YEAR. 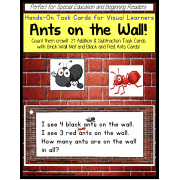 Given a sentence red aloud by an adult, with the one word to match emphasized verbally as the teacher reads it, STUDENT will match the correct picture with 80% accuracy, in 4 out of 5 opportunities, by MONTH, YEAR.